Interesting thing I bought recently on Ebay is a external Amiga floppy disk connector plus cable with integrated floppy drive power supply that can be used to connect a Gotek floppy drive emulator to an Amiga! For those with Classic Amigas with Workbench 2.0 and above, this is excellent as it means you don't have to open your case up to install the Gotek - it simply plugs into the external floppy drive port and choose to boot from this device in the Early startup menu. I previously showed the Gotek hooked up to my Amiga 600 and Amiga 1000 using the internal floppy drive connector - opening the case and going into some detail on the operation of the Gotek so I won't repeat myself again here - click the Amiga 600 and Amiga 1000 links for more info! But today, I am using the external connector on the CDTV to use the Gotek! This is because, unique to the CDTV, the external floppy drive IS DF0 and bootable on Workbench 1.3 without modification internally! It works fantastic - I recommend picking up the external connector if you have a Gotek drive. I assume it will work well with a HxC floppy drive too, but not tested. 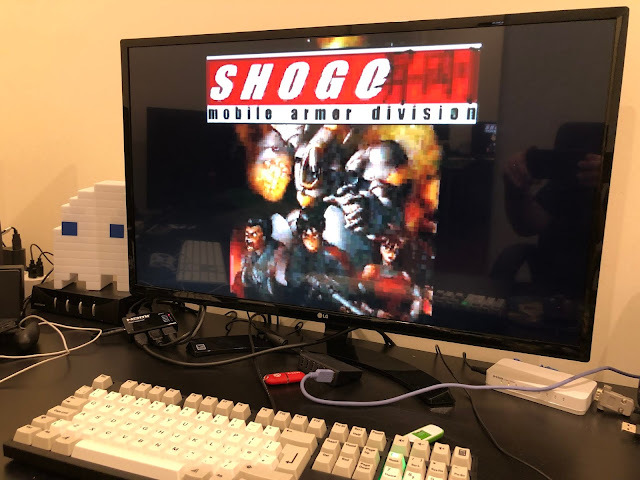 I plan to bring the CDTV and Gotek setup as above to the Adelaide Amiga 30 meeting on Monday night, so if you are in Adelaide please come along to the meeting and you can see it in the flesh and try it out yourself!